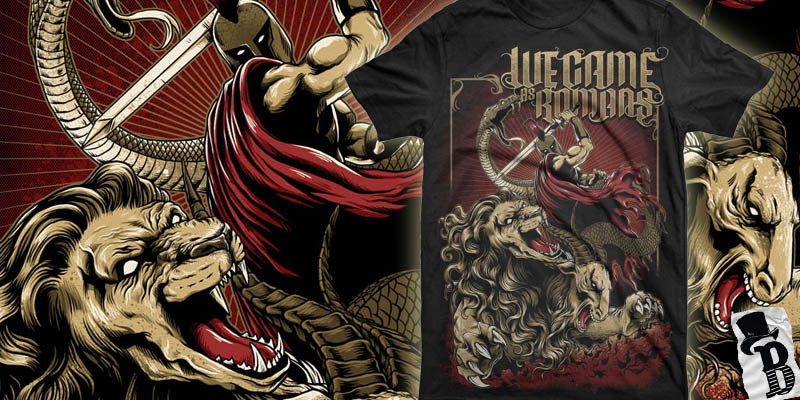 1 of 2 designs for WE CAME AS ROMANS. total fit for them ! Nice! I like the way you handled the border. Christopher Lovell said: Nice work. is this done in illu?...can any1 giv me some tips on how to be this awesome?.. ummm where is this and where can i buy it??? ?